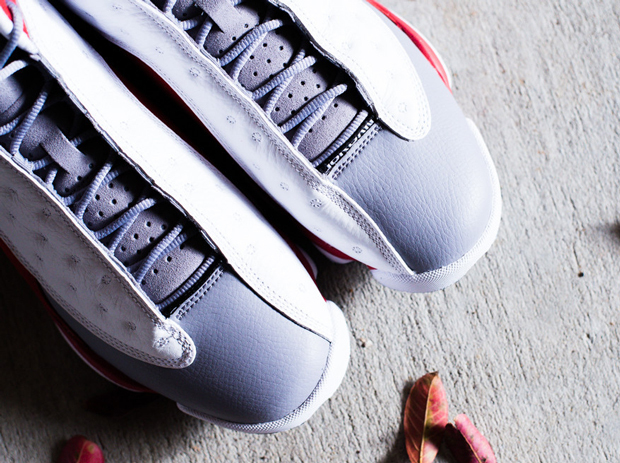 The Air Jordan 13 “Grey Toe” continues to grow in anticipation leading to its Saturday, November 15th release date. 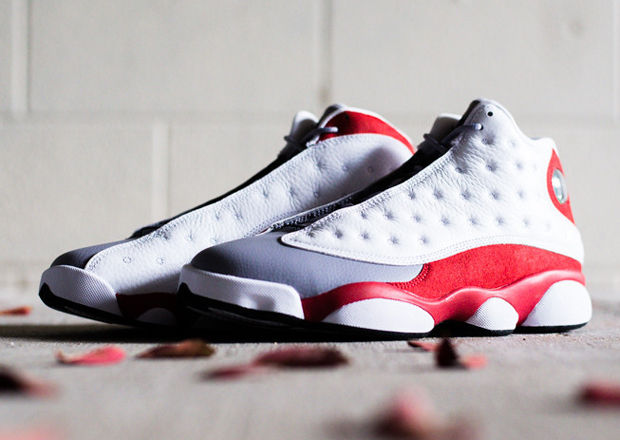 Though not an OG colorway of the coveted silhouette, the tonal Team Red-Flint Grey scheme did release in a similar form back in 2005. 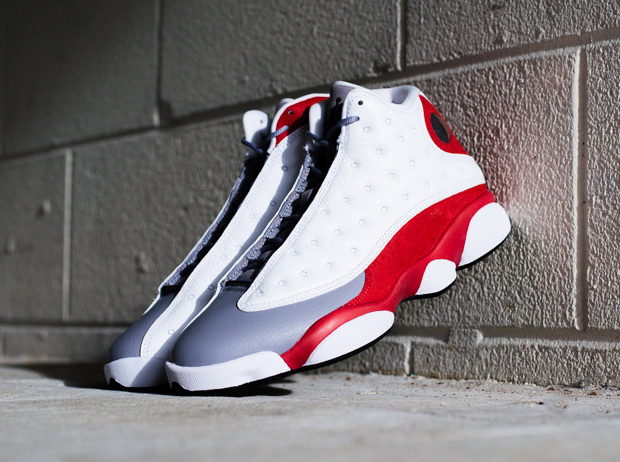 This time around though, the pair opts for an extension of the grey toebox throughout the tongue. 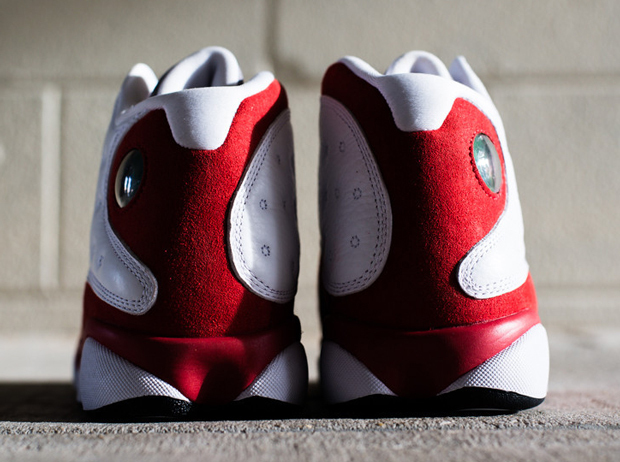 The budding Jordans boast slightly more nostalgic appeal due to its aesthetic alley-oop from the “Flints.” With a predominately white base offset by red suede paneling, the customary hologram remains perched in its standard position serving as the shoes branding. Flint Grey works the toe and leads up to the tongue finishing the look. 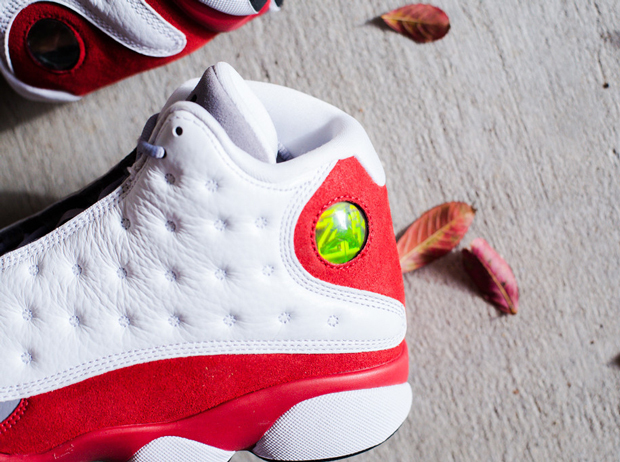 Digging these Air Jordan 13’s? 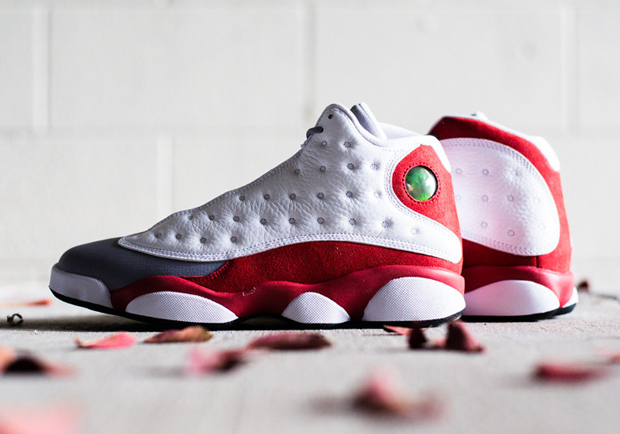 Let us know if you plan on picking up a pair tomorrow morning at 8am EST at select Jordan retailers and stay tuned to the Jordan Release Dates calendar for more holiday drops.